Although some may consider this a joke, Xbox Live will hold a downloadable content sale for April Fools' Day. The discounts on recent games include the Assassin's Creed 3 Season Pass for $20 (33 percent off). There's also the Battlefield 3 Aftermath DLC for $7.50 (50 percent off). For those who never picked up any of the DLC for Fallout 3, each of the game's five pieces of additional content are 75 percent off for $2.50 apiece. If you must select only a couple, "Broken Steel" and "Point Lookout" are the way to go. We feel obligated to note that Fallout 3: Game of the Year Edition, which includes the full game plus all the DLC, retails for $20. The sale does not start until tomorrow, April 1, but head on over to Major Nelson for details on some other discounts. 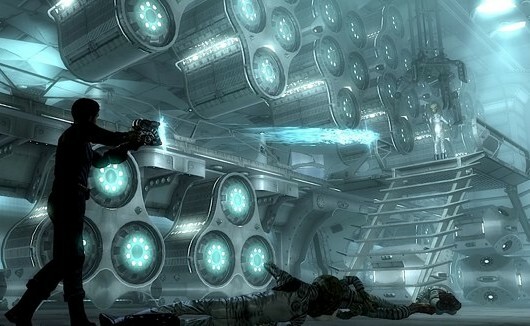 Xbox Live's April 1 DLC sale includes Fallout 3, AC3, BF3, Dishonored originally appeared on Joystiq on Sun, 31 Mar 2013 18:00:00 EST. Please see our terms for use of feeds. This video for Brothers: A Tale of Two Sons sheds a little light on the creative process that Starbreeze Studios adopted to bring the brothers' adventure to life. The game is slated to launch this Spring on PC, XBLA and PSN. 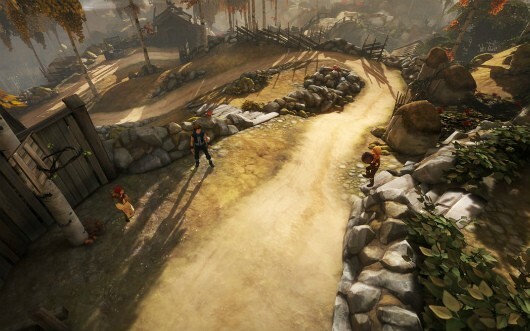 Go behind the scenes with Brothers: A Tale of Two Sons originally appeared on Joystiq on Sun, 31 Mar 2013 10:30:00 EST. Please see our terms for use of feeds. It was back in March when I first took on the case. First day of spring. Not that the heavenly landlord had seen fit to spring for a higher heating bill. It was a cold, cruel breeze that met my face upon leaving the local game merchant's shop. Sharp and cutting like a Lego brick against an unshoed foot. But then, I guess that's fitting considering what my case involved. Lego City Undercover. A title for the Wii U. Darn rare thing these days. I've been down this stretch of road before. Electronically commanding digital replicas of the plastic brick foundation of my childhood. Only this time there was a twist. No double feature. Lego wasn't sharing the limelight with Lucas, Rowling, or Tolkien. It was the only train on the track, trying to get where it needed to on its own steam. Good for them. First time I heard the name my face almost cracked in humor. Almost. He was like a casserole. You can see all the ingredients in his recipe but it was spoon fed to you all at once. No matter how many law enforcement tropes went in, his personality was still just like his hair. Plastic. Maybe plastic is what this world needs. You have plastic firemen driving plastic firetrucks down plastic avenues to put out plastic fires. Real water though. You can splish and sometimes splash. Creepy how it never rains, though. It's always sunny. At least on the surface. Below that surface, a plot was developing. Greetings! Glad you could join us - I know BioShock Infinite is keeping many of you very busy right now. Eventually, however, you will beat BioShock Infinite, the calendar will flip to April, and you will need something new to play! To solve your dilemma, here's our Top 5 game releases for the month of April. DC Comics looks to take the video game world by storm this month with Injustice: Gods Among Us. NetherRealm Studios' fighter takes place in a dystopian Metropolis, where DC heroes and villains are at each other's throats. With 22 different characters, from the popular (Superman, Batman) to the niche (Black Adam), Injustice promises to be the game for DC Comics enthusiasts. 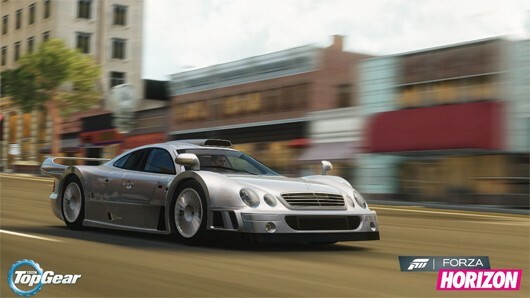 Six new cars will arrive in Tuesday's DLC pack for Forza Horizon, as selected by Top Gear Magazine and Turn 10 Studios. Players will get the opportunity to cruise in the 2011 Ford Transit SuperSportVan, the 1998 Mercedes-Benz AMG Mercedes CLK GTR, the 2012 Aston Martin Vanquish, a 2012 Bowler EXR S, a 2011 Alfa Romeo TZ3 Stradale Zagato and a 2002 BMW M3-GTR. The BMW M3-GTR is free for all Forza Horizon players, while the entire car pack can be bought for 400 MSP. Season Pass holders will be able to download the car pack for free. Forza Horizon's Top Gear car pack DLC hits April 2 originally appeared on Joystiq on Sat, 30 Mar 2013 13:30:00 EST. Please see our terms for use of feeds. Somewhere, inside the deep, dark dungeons that make up Konami’s game development offices the company has come up with a diabolical formula. A formula that, once infused with a dose of black magic and some vampire’s blood creates something incredibly potent: good Castlevania games. But wait! Not just any system can partake in this sorcery; the spell only seems to work on Nintendo handhelds, as the Game Boy Advance and Nintendo DS will attest to. Now it’s the 3DS’ turn to take part in the witchcraft with Castlevania: Lords of Shadow: Mirror of Fate. Does lightning strike again for the series' handheld aspirations or does this game curse all who dare to play it? This entry in the long running franchise is a spin-off of Castlevania: Lords of Shadow, which released in 2010 on the Xbox 360 and PlayStation 3. Set 25 years after the events of the original game, the game follows three characters central to the Castlevania mythos: Simon Belmont, Trevor Belmont and Alucard. Along the way you will discover the stories and secrets of each of these characters as well as uncover the mysteries surrounding the titular Mirror of Fate. Unlike its console predecessor, Mirror of Fate follows the lineage set by 2D adventures like the Aria games or Symphony of the Night. You will explore Dracula’s castle from a 2D perspective, fighting monsters, discovering secrets and solving puzzles. And for the most part the game does an admirable job of emulating the feel of the older instalments while keeping the action feeling fresh with modern elements (though it could certainly do without the ‘do or die’ quick time events). Being one half of the ‘Metroidvania’ sub-genre you pretty much know what you’re getting into when you pop the cartridge into your 3DS. Some combat, some platforming and some puzzles. And while the game doesn’t do any of these elements poorly it doesn’t blow you away either. The puzzles, while complex, are few and far between and seem to serve only to break up the flow of the game. Meanwhile, the platforming is plagued by awkward controls and repetitive sections, and the combat tries to be more complicated than it needs to be. 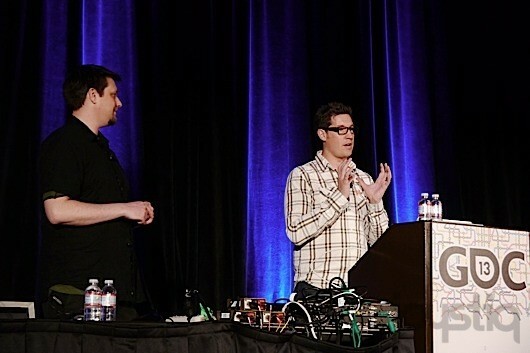 During his GDC panel, "One Man, 17 SKUs: Shipping on Every Platform at Once," Retro City Rampage creator Brian Provinciano provided a clear breakdown of the game's fiscal performance across various platforms. PSN was where Provinciano saw most of his profit come in: over $600,000 earned across over 35,000 units sold on PSN. These numbers do not account for PlayStation Plus downloads and the period of time during which RCR was offered for free with membership. The PC platform yielded the second-highest revenue for Retro City Rampage, earning over $400,000 from over 40,000 copies sold - the majority sold on Steam. Xbox Live Arcade came third with around $200,000 earned across 15,000 units sold, and WiiWare earned under $10,000 with fewer than 2,000 units sold. After the panel, Provinciano told me sales currently sit around 97,000 total, and that he anticipates total sales will exceed 100,000 next week. Provinciano said he spent the most development time on the Xbox Live Arcade port, on a platform he called the most expensive. "Knowing what I know now, I would've skipped it," he said. Though he considered the WiiWare version a $20,000 gift to fans, the XBLA port ended up costing more. Update: Brian got in touch to tell us some of the numbers in his panel were a bit off thanks to an Excel issue. "Looks like Excel didn't line up the bars up correctly." The WiiWare version sold under 2,000 units, he tells us. "It's also sold significantly more than 35K on PSN, 40K on PC and 15K units on each of the other platforms." 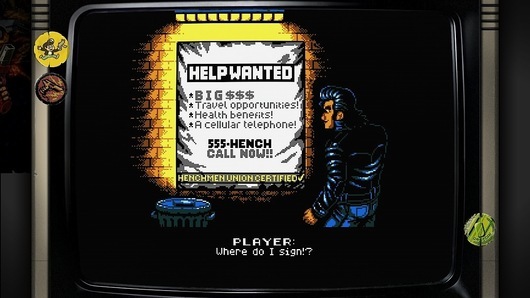 Where Retro City Rampage made its money originally appeared on Joystiq on Fri, 29 Mar 2013 23:59:00 EST. Please see our terms for use of feeds. The elements that made its predecessors interesting have been all but destroyed, making Army of Two: The Devil's Cartel a functional shooter but little more. Kotaku - Will UE4 run on the Wii U? "Unreal Engine 3 doesn't disappear because of Unreal Engine 4. But our goal for Unreal Engine 4 console-wise is next-gen consoles. That's really what our energies are focused on. If you want to make a Wii U game, we have Unreal Engine 3, and it's powering some of the best games on the Wii U already." Tomb Raider has achieved the highest week one sales in the franchise's history, according to Crystal Dynamics studio head Darrell Gallagher. Speaking at a GDC panel alongside creative director Noah Hughes, Gallagher also revealed that Tomb Raider had the most successful launch of any game this year. "It's been the biggest week one sales in franchise history, and we're only a few weeks into that launch right now, and it's been the biggest opening so far in 2013," said Gallagher. "So, we're happy with the outcome. It's certainly in a place where we feel like we're on the road to achieving everything we wanted to." The claim seems to be at odds with the feelings of Tomb Raider's publisher, Square Enix, which recently cited "weak sales" of its major titles, including Tomb Raider, as a reason for the company undergoing restructure. When asked about the apparent disconnect between Square Enix and Crystal Dynamics regarding Tomb Raider's performance, Hughes told us, "Certainly we're proud of what we achieved, and I think for the most part, the whole organization is happy with what we did." And for Gallagher, "Actuals and expectations, I guess, are two slightly different things. What I'm telling you is the actuals, and they're communicating expectations." That raises the question of just what Square Enix was expecting. To put things in perspective, Tomb Raider had higher initial sales than the 1996 original, a game that went on to sell over 6 million units in its lifetime. And yet, despite receiving critical acclaim and breaking franchise records, it would appear that Tomb Raider just isn't number one enough. Crystal Dynamics: Tomb Raider had best week one sales in franchise history originally appeared on Joystiq on Fri, 29 Mar 2013 15:30:00 EST. Please see our terms for use of feeds.